The choices you make when it comes to room color have a tremendous effect on your mood. Able to reflect your personality and current state, colors can also play a role in boosting mental health. Although people may not spend much time thinking about what room color to choose, it has the ability to completely transform a room. Every color gives off a specific vibe and energy, altering how we feel. Furthermore, colors have an effect on the shape and size of a room. Colors give off three basic energies: active, passive, and neutral. Lighter colors will generally add space to a room while darker colors give off a more intimate feel. Before deciding on what room color to choose, consider what each color has to offer. 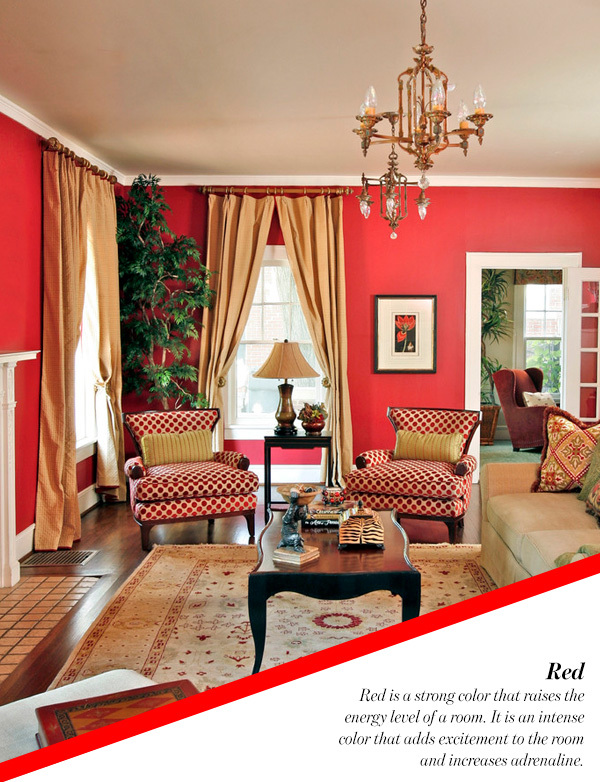 Red is a strong color that raises the energy level of a room. 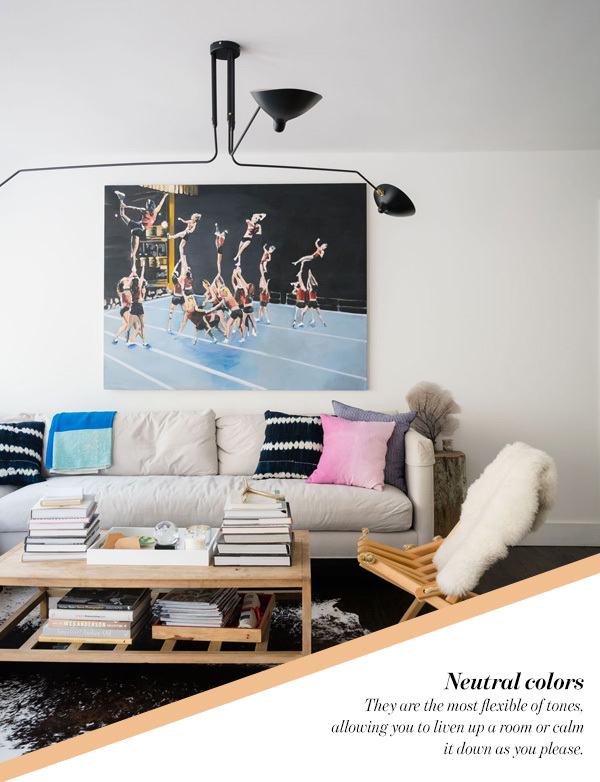 It is an intense color that adds excitement to the room and increases adrenaline. When used in an entryway, red will give off a strong first impression. Avoid using it excessively in the bedroom, however, as it is capable of raising blood pressure, speed respiration, and heart rate. Red is the color of passion, optimism, and adventure. Yellow, the color of happiness and sunshine. This warm choice will brighten up your kitchen and bathroom and leave you in a better mood. 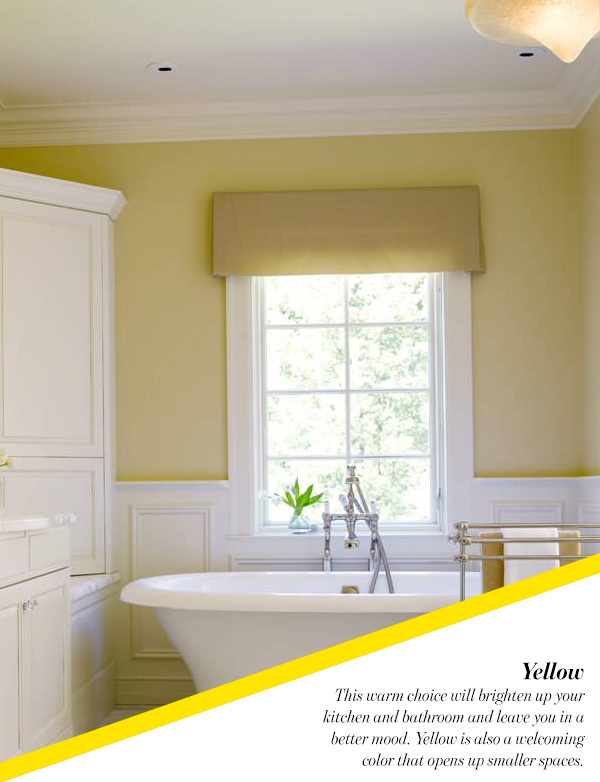 Yellow is also a welcoming color that opens up smaller spaces. Linked to feelings of frustration and anger, yellow is best used in small doses. It is even said that babies are more likely to cry in yellow rooms. They say you can’t go wrong with blue, a color that brings down blood pressure and slows respiration and heart rate. This soft color signifies calmness, relaxation, and serenity. 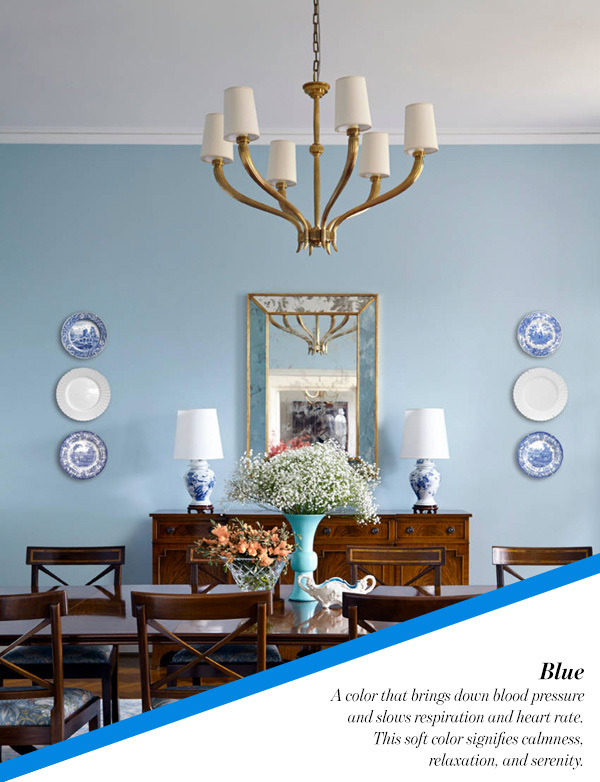 Light blue is best used in bedrooms and bathrooms while a warmer blue will cozy up living rooms and large kitchens. Make sure you balance out the blue, as too much of it may lead to coldness in the room. Green is the color of nature, and is, therefore, very relaxing for the eye to see. 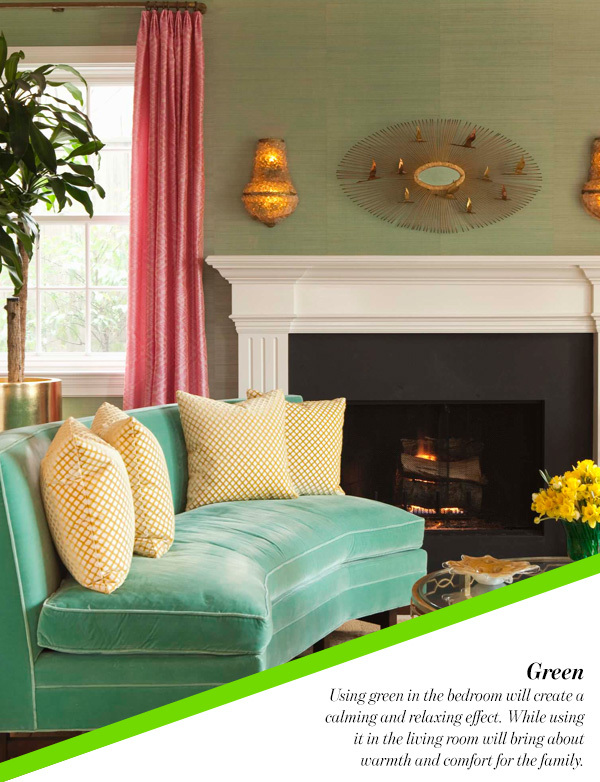 Green combines the cheerfulness of yellow with the serenity of blue, which makes it a great choice for any room. Using green in the bedroom will create a calming and relaxing effect. While using it in the living room will bring about warmth and comfort for the family. 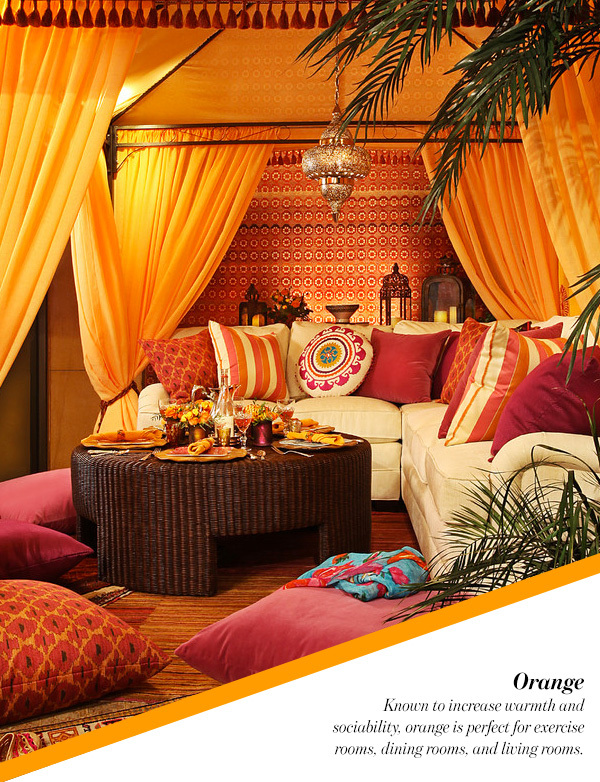 Go for orange if you want the room to evoke excitement and enthusiasm. This energetic color is best used in rooms where you want to be productive. Known to increase warmth and sociability, orange is perfect for exercise rooms, dining rooms, and living rooms. Avoid the use of orange in bedrooms where heightened energy levels may be unwanted. Purple depends on the shade you decide on. 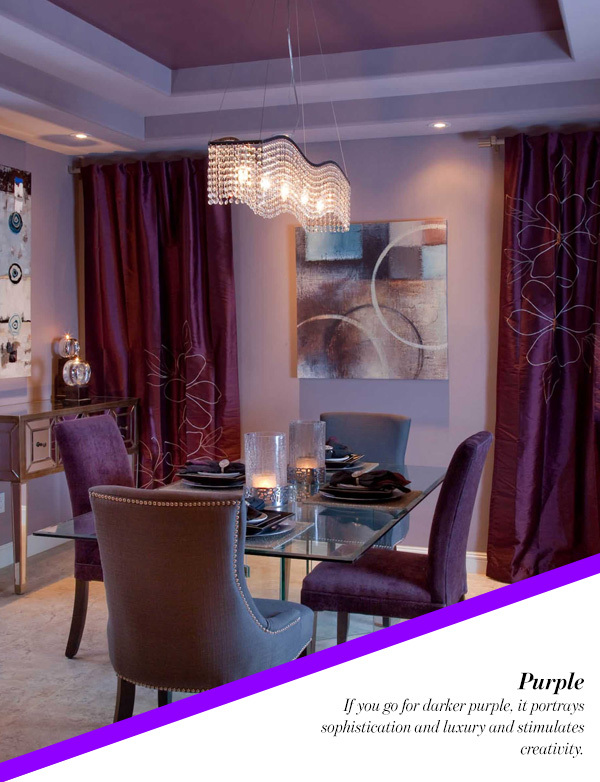 If you go for darker purple, it portrays sophistication and luxury and stimulates creativity. Lighter purple, such as lilac, is a very spiritual tone. Best used in bedrooms, it gives off a restful vibe. Lilac too has an effect on creativity. Some of the most commonly used colors are the neutral colors: black, gray, white, and brown. They are the most flexible of tones, allowing you to liven up a room or calm it down as you please. Best used in moderation, these neutral colors are basic in every room. While it is best to avoid black as the main color in a room, every room needs a touch of black. It represents power and authority.